Our family loves to sit down for an snuggly evening of a cuddling and a Christmas movie. 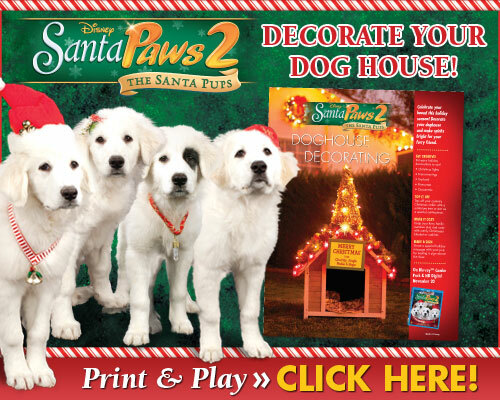 We’ve never seen Santa Paws (1) so this movie was completely new for us and I thought it was incredibly cute! My husband has issues with talking animals but I felt it was done fairly well and if you let your mind go past the fact they are dogs it seemed natural. Emma and Ethan were drawn to the movie and their usual talkativeness was silenced while they watched the dogs sneak into Santa’s sleigh for a ride with Mrs. Claus, get into mischief throughout the town granting wishes and watching Mrs. Claus with the children. I’m fairly certain this title has made our yearly rotation and will become a favorite.